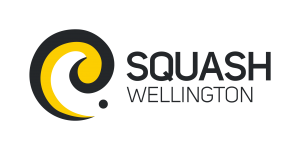 If someone is new to squash, you can register them in iSquash and add them to your club membership by using “Add Member”. If they have played squash before then they will already be members in iSquash and you cannot re-register them using the “Add Member”. If a player is already registered in iSquash, they need to log in and apply for membership at your club (by going to My Clubs, clicking on Apply for Membership, using the drop down select your club and then click Add). Once they have applied, you need to go in to Member Management, and accept the membership. Once logged in on the left hand side is the menu. Go down to “Member Administration” and just under that is “Member Management”. Click on this. The District will be your District, the Club will be your club and Membership will be “All”. Using the drop down arrow, change Membership to “PendingMember” and click on the black “Refresh” button. *To delete Members from your club Membership, you first have to suspend their membership. The District will be your District, the Club will be your club and Membership will be “All”. Using the drop down arrow, change Membership to “Member” and click on the black “Refresh” button. This will then show you all of the current members of your club and give the option buttons to Email, send the details to excel with Report, Promote Members (which is promote to Committee Status), Demote Members and Suspend Members. Tick the empty box to the right of the person you wish to Suspend and then click on the Suspend Members button. You can Promote, Demote or Suspend more than one person at a time by ticking more than one box. To delete members from your club you need to suspend them first (instructions in info above). Once they are suspended, using the drop down change the Membership type to “SuspendedMember” and click the black “Refresh” button. This will then give you the options to Make Full Members or Delete Members. Tick the empty box to the right of the person you wish to Delete and click the Delete Members button. You can Delete more than one person at a time by ticking more than one box. To delete a player from your clubs grading list and change them from a graded player to a leisure player for your club, you need to complete the Add/Move/Delete Player form. This is on the left hand side under “Member Administration”. Click Add/Move/Delete Player. Using the drop down select “Delete Player”. Then using the drop down next to Select Member find the player you wish to remove from your clubs grading list. Continue filling in the form and click Submit. This will send the form to your District Administrator so they can remove the grading code. You can only complete the Add/Move/Delete Player form and select Move (if they already have a grading code with another club) once they are a member of your club in iSquash. As per the instructions above but select Add for players who do not have a current grading code and Move to move a player from another clubs grading code to your clubs grading code. Select the member, fill in the form and click submit. This will send the form to your District Administrator so they can add or move the grading code. Any member who has committee status in iSquash with the club has the ability to promote or demote the other club members to Committee Status. Once they have logged in, they click on Member Management (under Member Administration), change the membership type from All to Member and click the black refresh button. This will then give them the Promote Members and Demote Members buttons they need to promote or demote club members to committee status. They just tick the empty box to the right of the persons (or multiple people) they wish to promote or demote and then click the appropriate button. Anyone in your club with committee status can do this by logging in to iSquash and going to Club Administration > Club Maintenance. The first tab is your Club Information and this is what is shown to players looking for a club in your area. The third tab is Club Contacts and contains your clubs President, Treasurer, Secretary/Club Administrator and iSquash Administrator/Statistician. If any of the names are incorrect, you can change this by using the drop down next to the role, find the correct person and then click Save. If any of their e-mail addresses or phone numbers are wrong, their details can be updated in Member Management and this will flow through to the Club Contacts tab. If a person’s e-mail address is incorrect or missing then they will not receive e-mails sent by the District, iSquash generated e-mails such as pending member requests or important notices from Squash New Zealand (such as Grading List cut-off date for SuperChamps, Roadshow details, Membership Return notices, Event Calendar close off dates, iSquash upgrades etc).